Consider ditching the traditional guest book for a totally lit one, no more snooze fest for the guests or a book you will never read again! 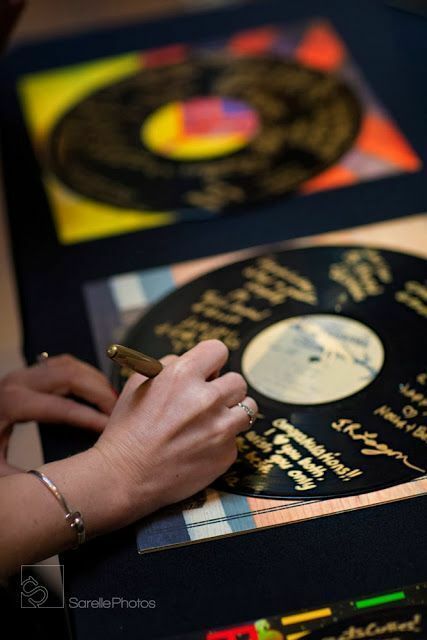 Check out these creative wedding guest book ideas that are fire! Surfs up for beach wedding couples looking for creative and unique guest book ideas to surprise their guests! Photo Credit: BluePhoto Photography. 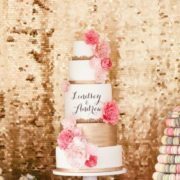 One trend that has everyone dripping with thirst are the twists on the classic wedding guest book ideas. Nobody wants their book to be like everyone else’s. And you cannot bypass this tradition. We all want wedding memories, otherwise why the selfies, the photographer, videographer and all that comes with it? These well wishes are something to do at a reception, and it needs to be done in style. So check out these TD guest book ideas and get or DIY yours! What Size Guest Book Should I Get? Estimate that the book should fit about 60% to 70% of your total guest count. This number could go down to 50%, if you invited many couples. Don’t go overboard as it’s better for guests to be searching for the empty spot than to have too much room to add their well-wishes. Usually the wedding guest book ended up gathering dust somewhere in the house never to be seen again. Therefore, the trend of having a signature book that could be used as a statement piece in your home makes more sense. First, because it will make you smile every time you see it just for remembering those beautiful memories. Second, its cost is an investment in your home decor! Pick something really original that you will cherish for a long time to come. Am i right? 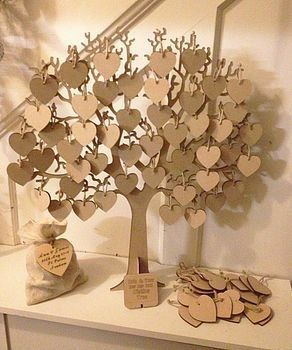 Rocking 3-D wedding guest book idea to adorn your home. Now, this is a fab guest book alternative to have this memory turn into a conversation piece. Have the guests sign an Adirondack that will later adorn your backyard. 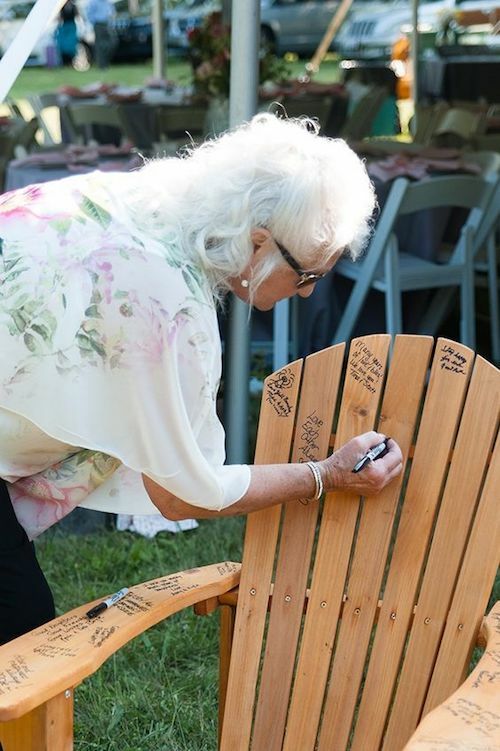 Have your guests sign an Adirondack or a plain lawn chair. That way your guestbook won’t end up hidden away in storage. Adorable signature board you may use as home decor via Etsy. We love the look of Polaroids, old and new. Vintage-themed receptions call for a Polaroid selfie guest book. Your guests’ photos will be instantly printed – after a few shakes – and they can write on the back their wishes for the newlyweds. 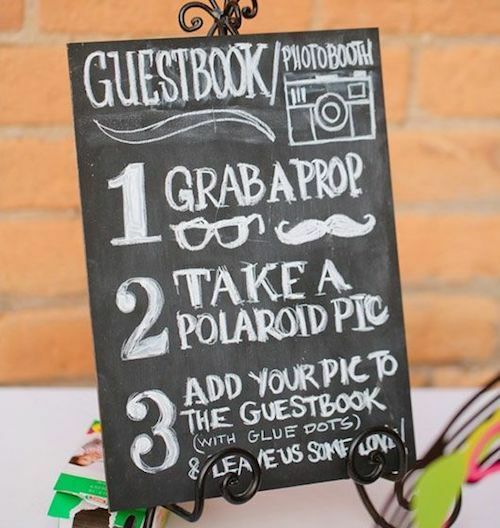 But not every guest will want their picture taken, so it might be best to have an alternative way of signing the guest book. We also like the idea of having an attendant take the pictures – assign the task to a member or two out of your bridal squad. Make a banner of the Polaroids and hang them all on some board. Add instructions for your guests, something like “You Smile, We Snap, You Sign, We Cherish.” Another alternative is to look into more products that produce instant film, like printers that hook up to smart phones. That way they can take a picture on their phone and pick which one they’d like to print over bluetooth, and finally attach it where ever you’re asking them to. 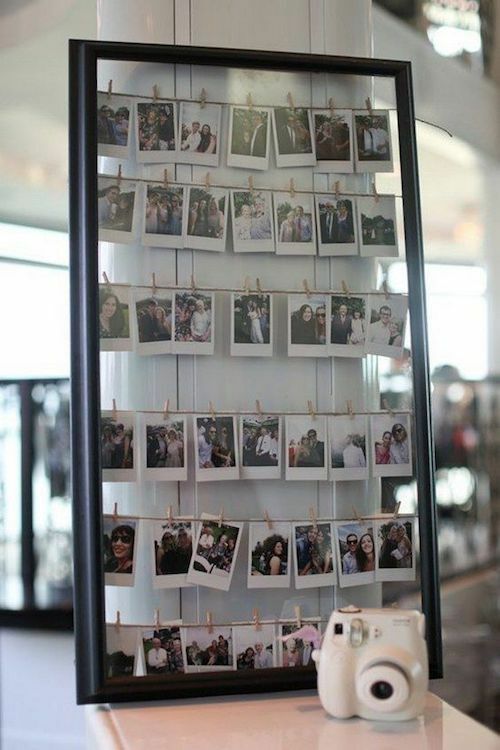 This is a fab idea to be able to remember who was who at your wedding! Shadow box guest books are so versatile, they fit any wedding theme, From rustic to boho to glam all the way up to Magic Kingdom cute! 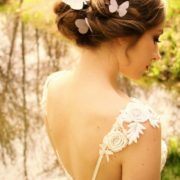 You can give your guest a fu way to interact with your wedding day and, later on, you can hang them on your wall! 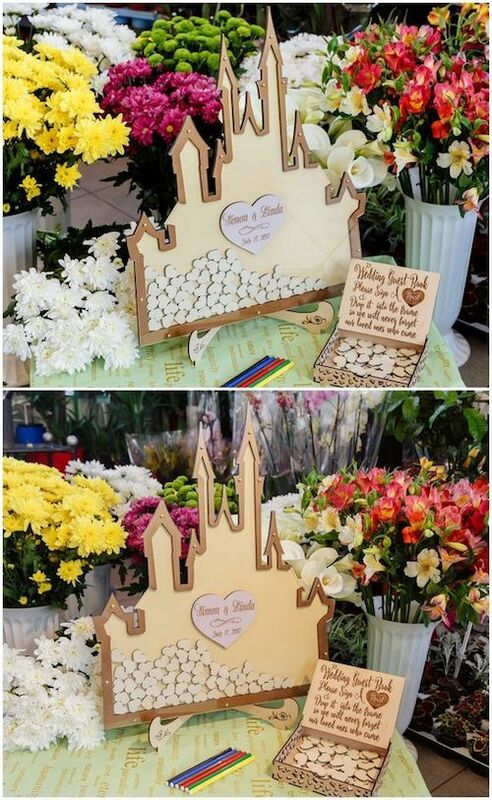 Disney wedding guest book alternative with the cutest box and castle ever via Etsy. 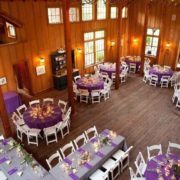 Winery weddings can leverage the theme and include quite an original guest book idea. Corks in a shadow box! 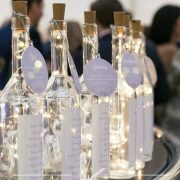 There are lots and lots of creative ideas to help your guests give their well-wishes to the happy couple! Forget the dull and boring signature books and go for one of these gnarly and unique guest book ideas instead. Provide small sheets of note paper and ribbon, Jenga blocks, wine corks or any other surface can can imagine for guests to sign. Go ultra vintage. Grab a few records and gold sharpies. They can be framed afterwards to decorate your walls. Photography: Sarelle photos. DIY Jenga guestbook wedding idea! You will need: the Jenga wooden pieces, a few thin point black sharpies, a large clear bowl and a table. Voilá! 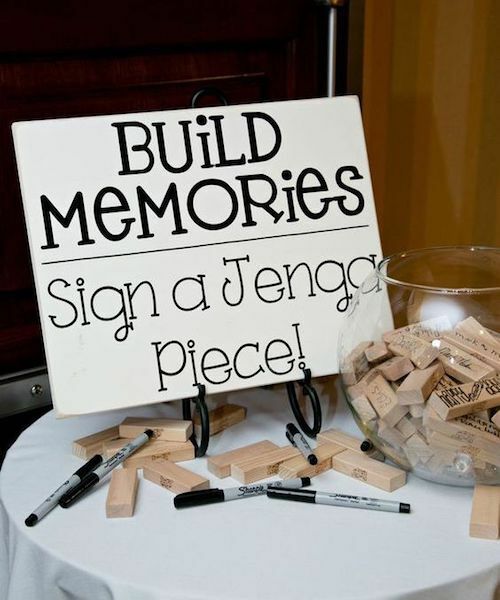 Love this DIY Jenga guestbook wedding idea. Ask your guests to leave their fingerprint or their signature or both! 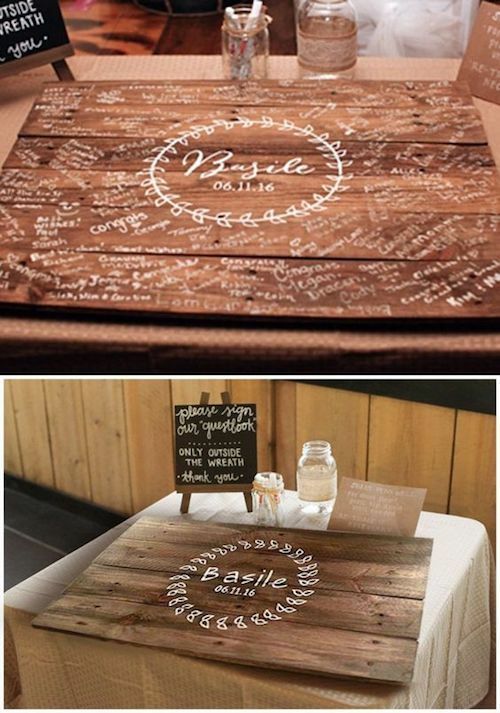 Unique wedding guest book ideas. Colorful thumbprints everywhere! 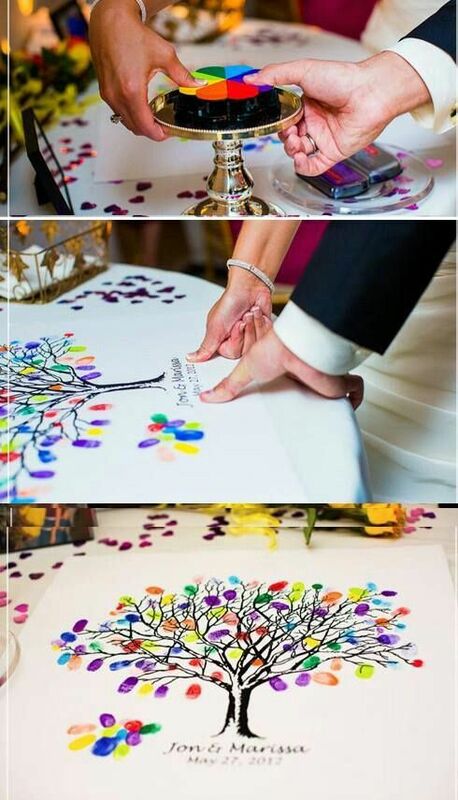 ¿Classic Wedding Tree Guestbook or a Canvas? Follow our directions to decide on the size of these wedding guest book alternatives. Having empty leaves, balloons or spaces won’t look that good and you do want to feature these little masterpieces on your walls, don’t you? Wedding guest book canvas with colorful balloons via Etsy. 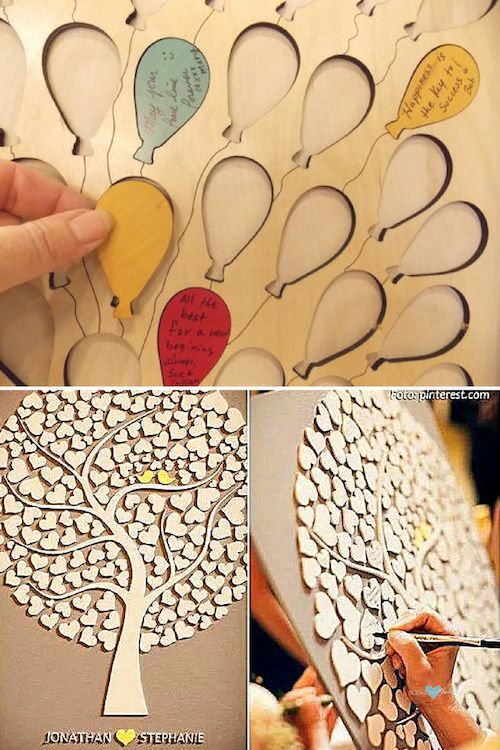 Love the matching color of the heart and the birds for this wedding tree guestbook. 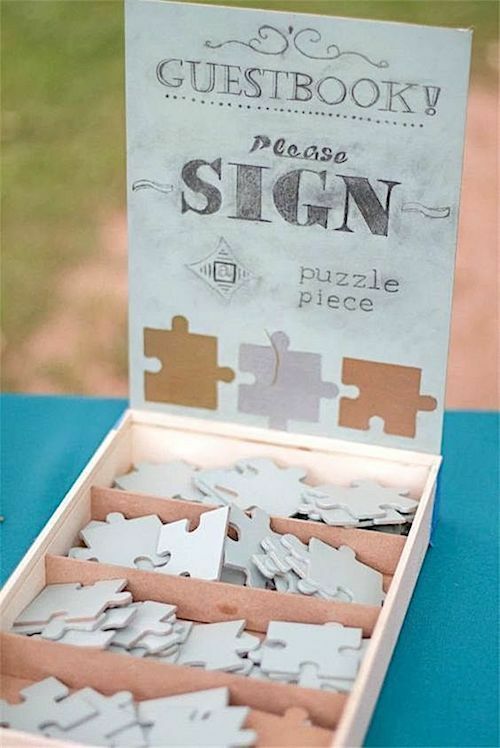 Why not add some fun and games to the reception with a wedding puzzle guest book? You can make one out of a photo of the couple or just out of your favorite jigsaw puzzle. A great and pretty cheap idea! Woohoo! Let’s put the guest book puzzle together after the wedding! On this day and age traditional guestbooks are antiquated. Why spend money on something that is likely going to sit on a shelf and get dusty? 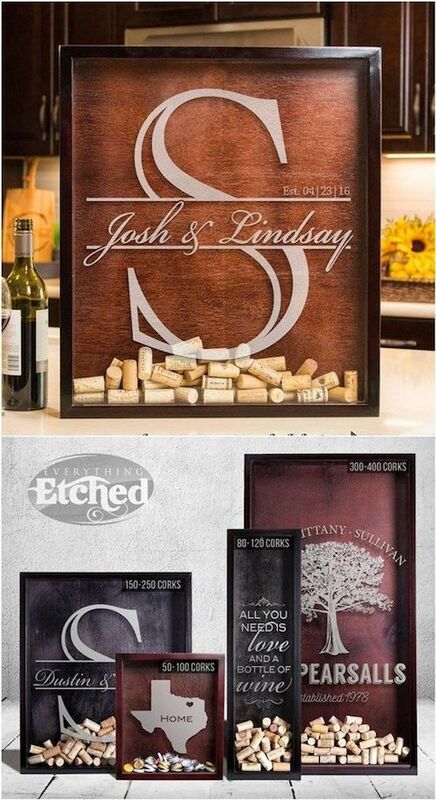 Have your guests sign something you will display or use constantly. 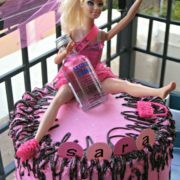 Your guests will be delighted to see that you chose something totally different and original for them to add their well-wishes! 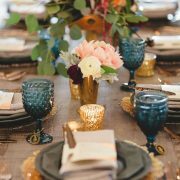 Photo Credits: glamourandgraceblog, theoverwhelmedbride, weddinginclude, deerpearlflowers, ohbestdayever. 05/26/18 /2 Comments/by Havi G.
This is lovely and unique.